Up to halfway into the 19th century all big game species occurred in the Erongo Mountains and along the dry river-beds. However, before the end of the century, elephant and buffalo had already been decimated and then pushed north by the big game hunters of the time (they hunted uncontrolled and unsustainably). Up to the year 1974, black rhinoceros occurred in the Erongo Mountains; the last ones were translocated to the Etosha National Park. In the year 1998, a number of land owners from the Erongo Mountains and its forelands gathered, to create a private nature reserve in this spectacular stretch of land. The initiators - predominantly hunters - probably did not know back then how difficult it would be to put into practice such an ideal. It is not the easiest of tasks to bring together 30 different people and have them move into the same direction, if goals can only be achieved in small steps. But since then considerable successes have been achieved. The first two goals that were set some 18 years ago have been reached: Black rhinos have been reintroduced, and a good population of the rare and in other areas endangered Black-faced impala has been built up. 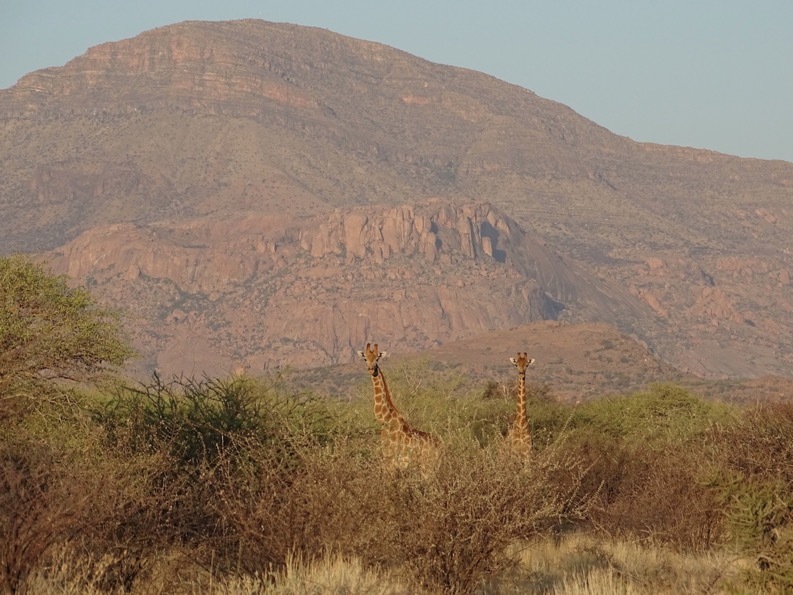 While the disappearance of true wilderness areas is reason for concern across the African continent, in the Erongo Mountains a rugged, pristine wilderness is returning to ancient harmony. Please take note of the links up top that describe conservation in the EMRST.